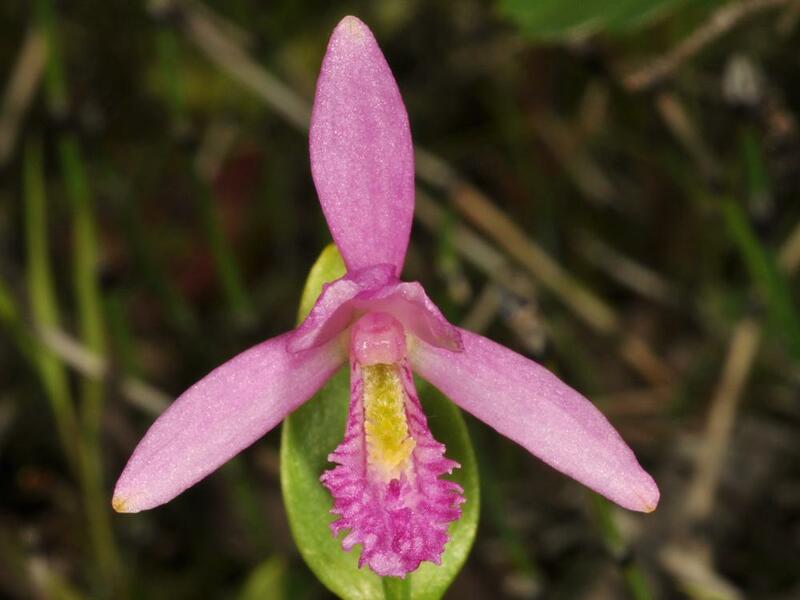 Pogonia is a genus of terrestrial orchids containing approximately 4 species distributed across the temperate regions of North America and eastern Asia; only 1 species, Pogonia ophioglossoides, is found in North America. 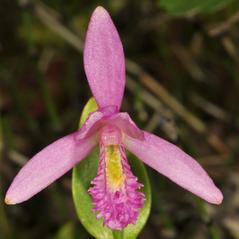 Pogonia usually produce a solitary stem leaf and 1-3 flowers, which are resupinate and usually showy. The sepals spread away from the column and the floral bracts are prominent; the flowers lack a nectar spur. Species in this genus tend to prefer wet, open environments.